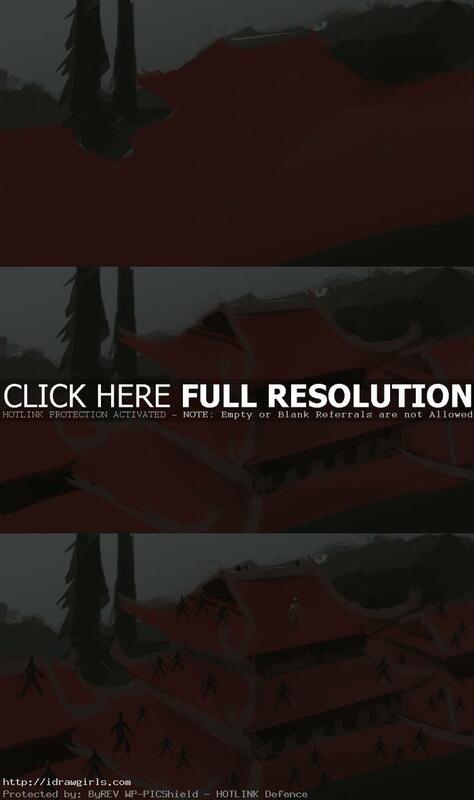 Rooftop ninjas digital painting tutorial (speedpainting). 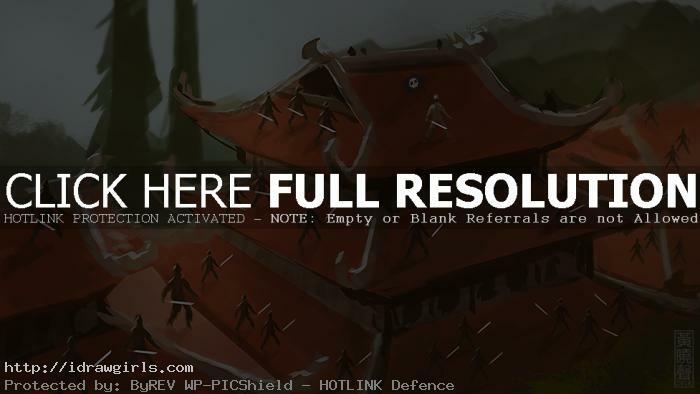 Here is one of my daily quick color concept or speedpainting, ninjas fight on the rooftop castles. This one is from the topic of my daily spitpaint group, “rooftop meeting.” This painting takes about thirty minutes to finish. I have an idea of a gang of ninjas are surrounding this one white ninja in the middle. I also add speech bubble for comedic flare.